Are They Worth It? Adobe Stock Photos Free Download? If you haven’t heard about Adobe Stock yet, take notice or read the review here. The service was launched earlier this year by technology giant Adobe, who bought Fotolia’s existing library of stock photos to give themselves a start in the stock photo game. 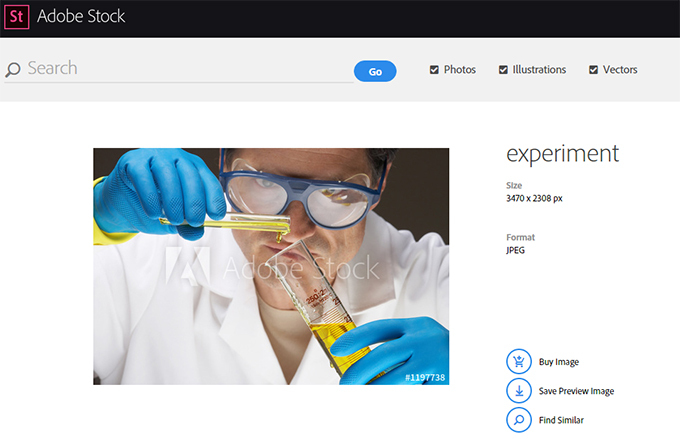 Now, Adobe Stock operates as a fully functional, stand-alone stock photography vendor through Adobe, offering some great content and unique features at a reasonable price. For a limited time through the rest of November, you can check out the service for yourself risk-free, thanks to a trial offer the vendor is offering that lets you download ten Adobe Stock photos free downloads. Here’s how to capitalize on the deal and why you should give Adobe Stock a shot. Adobe Stock isn’t the cheapest vendor out there, but it is very unique thanks to a pretty revolutionary feature in their total app integration. Most people know Adobe thanks to their flagship creative applications like Photoshop and Indesign, and the company took full advantage of this existing market presence when they launched Adobe Stock. Every application that Adobe offers now has tailored integration with Adobe Stock, making it easy to download photos directly into projects and even manipulate and experiment with them before paying a licensing fee. If you are a visual artist, graphic designer, or other creative professional that relies on Adobe’s creative software, the amount of time and annoyance you will save by downloading through Adobe Stock may be worth the slightly premium content prices. Even if you don’t use Adobe’s programs much, there are a ton of premium images in Adobe Stock’s library that still demand your attention. And now, until the end of November, you can check them out yourself with ten free Adobe Stock photos free download files. Here’s how to use their current free trial to try out Adobe Stock for yourself. With Adobe’s free trial, you essentially get access to their most basic one month plan for free until the end of November. You can download up to ten images during that time for free, and use them however you like commercially for as long as you like after that. All of the images you download are Royalty Free, and can be used just like you would use any stock photo, even after your Adobe Stock trial has expired. Here are some steps for signing up. In order to capture this awesome free trial, you need to start by visiting the landing page on Adobe Stock’s website. Once you arrive at the landing page linked above, click on “Start Your Free Month,” which should be located in the middle of your screen. Once you click on the “Start Your Free Trial” button, you will be asked to enter identifying information to sign in to your Adobe ID. If you already use Photoshop or another Adobe program, your Adobe ID should be familiar. If you don’t have an Adobe ID, you can make one quickly and easily. When you sign up for the free trial, Adobe is essentially giving you the first month of their ten images per month, basic stock photo service for free. But you will need to sign up for a full year subscription in order to unlock the deal. Don’t worry, if you aren’t satisfied with the service after trying your Adobe Stock photos free download trial, you can easily cancel your year membership, and you won’t be charged for your first free month. This free trial lasts through the end of November, so make sure to mark your calendar. If you don’t like Adobe Stock, make sure you cancel your subscription at the end of the November to benefit from their free trial without paying. Adobe Stock has some great content and some unique features, and exploring the service with your Adobe Stock photos free download files is a great way to see if the vendor is right for you. Enjoy your free trial, download all ten of those images before the end of the month, and see if Adobe Stock feels like the right vendor for your needs. Adobe Stock’s free trial is really risk-free. As long as you remember to cancel your subscription at the end of November, you won’t be charged at all, and can use those ten Adobe images you downloaded for as long as you’d like however you usually use stock photos. While Adobe may be a bit pricey for some, their trial is absolutely free, and you can decide if the vendor is right for you without paying a dime. Check it out before the end of the month!